Caregivers must be vigilant when a loved one is hospitalized. How to keep your loved one from becoming weak…disoriented…sleep-deprived, dehydrated and more. Urgent care centers are springing up across the US. Here’s when you should—and should not—use one of these centers. 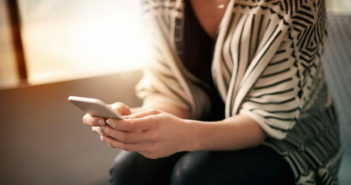 Yelp, the online ratings website, can play a role in finding a high-quality nursing home, research finds. But watch out for these dangers. 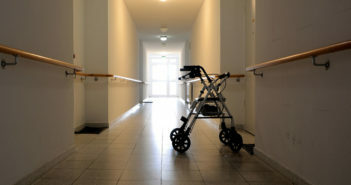 More nursing homes across the country are kicking people out under false pretensions. 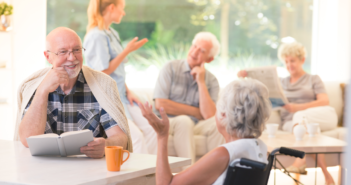 Learn the scams and how to maintain the care your loved one needs. 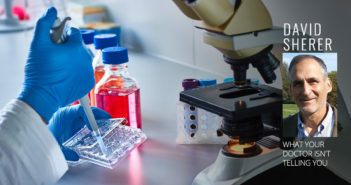 Many stem cell clinics have opened claiming to treat heart disease, Parkinson’s, stroke, vision problems and more. Why you can’t trust their claims. 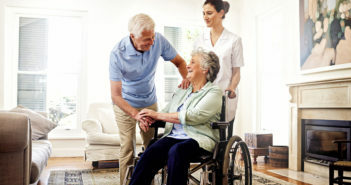 Get better faster, more easily and with less risk of infection if you convalesce at home rather than at the hospital. Here’s when it’s safe to do so. 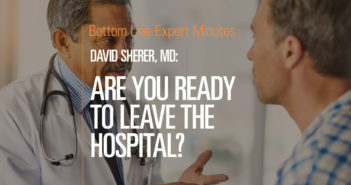 Are You Ready to Leave the Hospital? Is It Time for a New Hospital? …to get the care you need. Emergency rooms are crowded, chaotic and confusing places. Americans now make about 130 million ER visits each year. 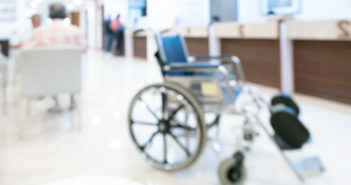 It’s estimated that about half of all hospital admissions now come from ER referrals. 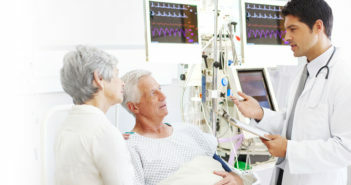 Problem: Patients who are seen in ERs (or “emergency departments”) and/or admitted to the hospital may be subjected to disjointed care, medication errors, misdiagnoses and poor outcomes and huge costs. Solution: To protect yourself or a loved one, it’s more important than ever to be both assertive and savvy about managing your own care in the ER and/or hospital. Stick to your worst symptoms. Pain and other symptoms tend to cycle from bad to bearable. Don’t downplay discomfort. If your pain was severe two hours earlier, focus on that. This is not the time to be stoic. Get their attention. Go over their heads. If you’re not getting triaged or end up sitting for hours after you’re put in an examining room, you (or a family member) should check in every 20 minutes or so with the triage nurse. If this doesn’t help, ask to see a caseworker. They’re responsible for coordinating medical care and making sure that patients get what they need—including a nurse’s or doctor’s attention. Important: If your condition is worsening, notify the ER staff immediately. Get your test results. When you leave the ER, get copies of the results of any tests you received. It might take extra time, but it’s worth the wait. Even though you’d assume that the ER would forward this to the proper hospital floor if you’re admitted (and to your personal doctor), it’s safer to have these test results with you. This ensures that hospital physicians have the information they need to treat you. First make sure you are admitted. 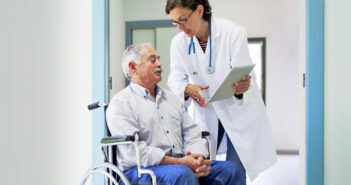 If you are a Medicare patient and are admitted “under observation,” you are not an in-patient. You may be billed an amount of money that will sicken you more than the reason for the initial visit. There is no appeal. 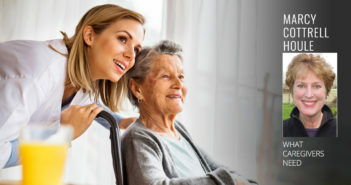 And if you subsequently need nursing home care, you will not receive Medicare coverage for it. Patients can be hospitalized for days undergoing exams, tests and receiving drugs—without officially being admitted to the hospital. This is an expensive mistake. Always insist on admission, and ask for an appear before the fact. If you are admitted to a hospital for any reason, be sure to bring your relevant medical records and the prescription bottles for any medications you’re taking. If you aren’t able to do this, send a relative to your primary care physician’s office to get copies of your records from at least the last year and to your home to get your pill bottles. Get your doctor on board. Most hospital care is now managed by hospitalists, doctors who are trained in acute and inpatient care. But a hospitalist will not know you. Why it matters: Your regular doctor knows your health background, which can affect treatment. The hospitalist will not. 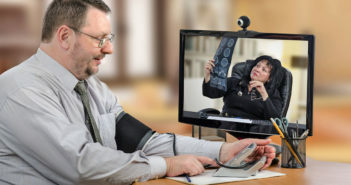 If you are the patient, you are likely to be very sick and unable to communicate clearly on your own behalf. If this is the case, try to have a family member—one who isn’t afraid to speak up—with you at all times. Important: Find out which hospitalist is assigned to your case, and let your regular doctor know who it is. Ask your doctor if he/she will drop by every other day to check on things…talk to the hospitalist…and review your test results. Also let the hospitalist know the name and phone number of your primary care doctor and insist that they communicate. Wait for test results. Hospitals discharge patients much more quickly than they used to—sometimes you are on the street even before test results are in. 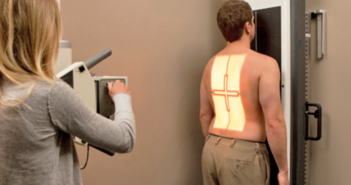 One study found that 40% of lab and x-ray outcomes were still pending when patients left hospitals—and some results could have affected treatment options or even the diagnosis. My advice: When you check into a hospital, ask to meet with the hospitalist and the discharge planner. Tell them that you’d like to have your entire hospital record—including all test results—on the day you’re discharged. If the hospital staff says that only a discharge summary can be made available, ask your primary care doctor to follow up within 48 hours for your full hospital record. See your doctor soon after you leave the hospital. Don’t wait more than two weeks—sooner is better. 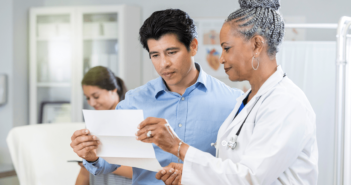 Research has shown that patients who don’t schedule follow-up visits with their doctors are up to 10 times more likely to be readmitted to the hospital within 30 days. Choosing the right ER before an emergency can greatly improve your quality of care…and could save your life. 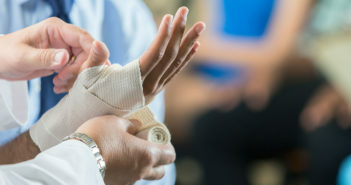 If you’ve suffered a severe injury (for example, in a serious car accident or a bad fall) and are able to express your preference regarding the hospital you go to, ask to be taken to a Level I trauma center, or if that’s not possible, a Level II trauma center. 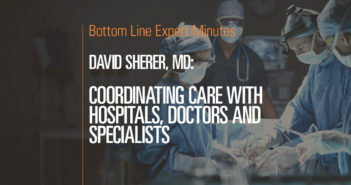 Both types of ERs are always staffed with surgeons, anesthesiologists and other specialists. To find a trauma center near you, go to FACS.org/trauma/verified.html. Important: I don’t recommend urgent-care centers or nonhospital-affiliated emergency facilities for serious emergencies. Use urgent care only for problems that you already know aren’t too serious. An urgent-care center might be an option for familiar symptoms you’ve had in the past and that have been previously evaluated. 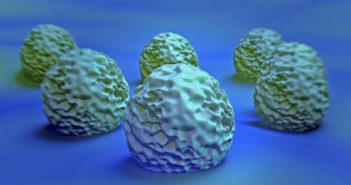 A cough, cold, slight fever, bruise or the like are neither new nor worrisome to most of us. If your symptoms are sudden, new, debilitating to any degree and/or scare you, that’s enough to make the ER visit a wise choice. It is not the place for routine care.